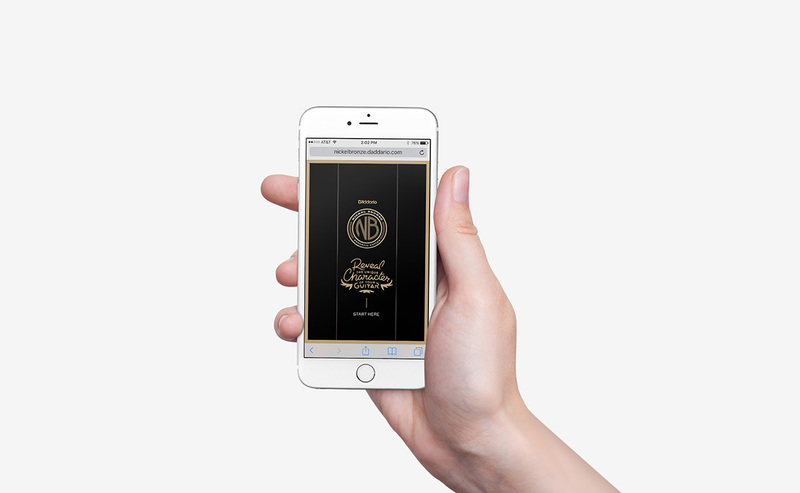 Taktic Studio had the pleasure of working with one of the largest manufacterers in the world of guitar strings and musical accessories, D’Addario. This prolific company also produces and distributes musical products under other brands such as; Evans Drumheads, ProMark and D’Addario Woodwinds (bringing us along for the ride), among many more. 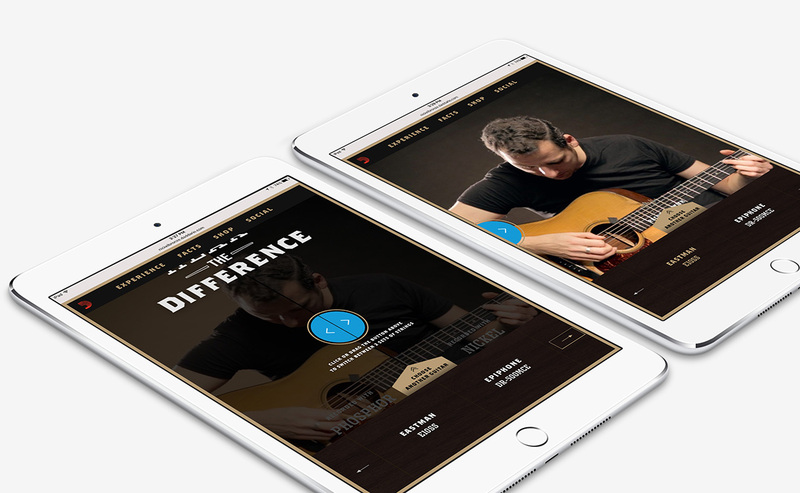 D’Addario had a brilliant product of premium quality – but they needed a way for their audience to experience the difference themselves. That’s where we came in. 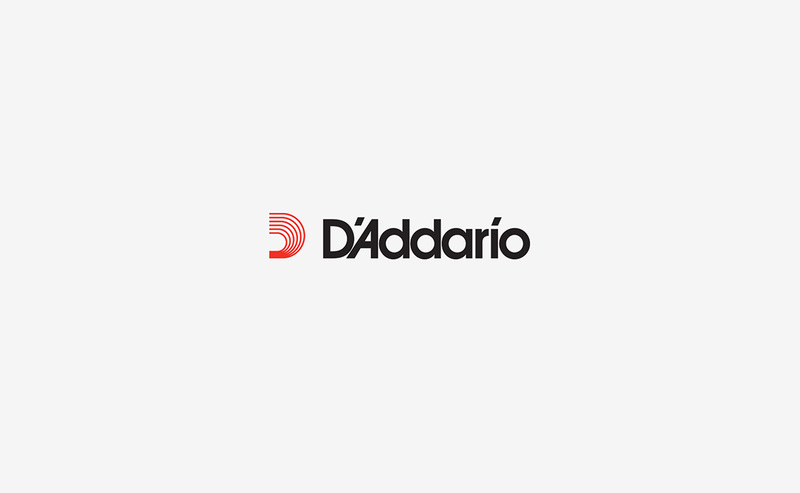 Taktic Studio oversaw the creative collaboration of artists, musicians and filmmakers to bring D’Addario’s vision together. 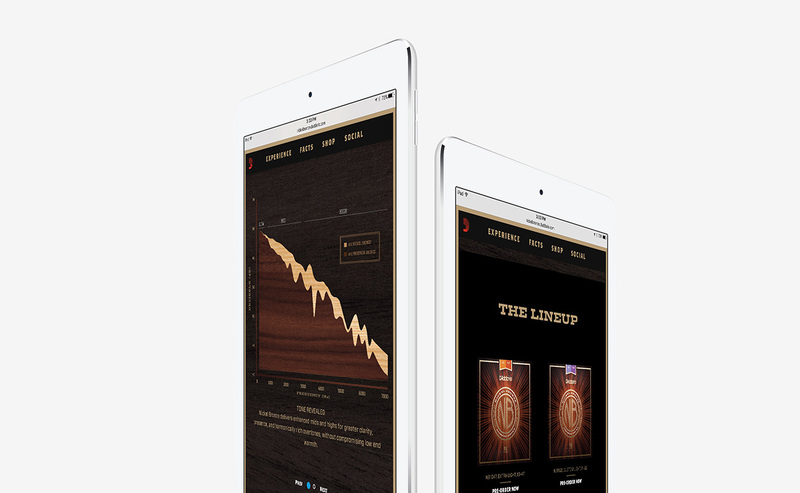 The end result included beautiful original content, user-friendly front-end development and responsive web design. 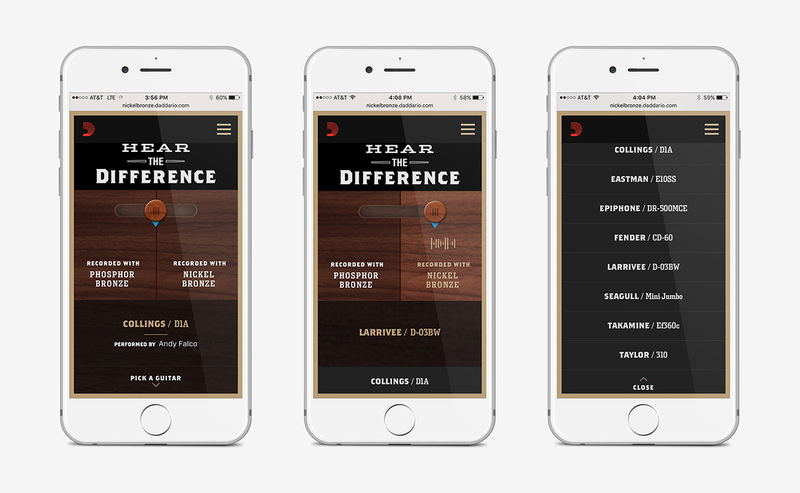 But the shining star of this project is the implementation of a custom, interactive music player that gives users a first-hand experience of D’Addario’s new guitar string line – Nickel Bronze. 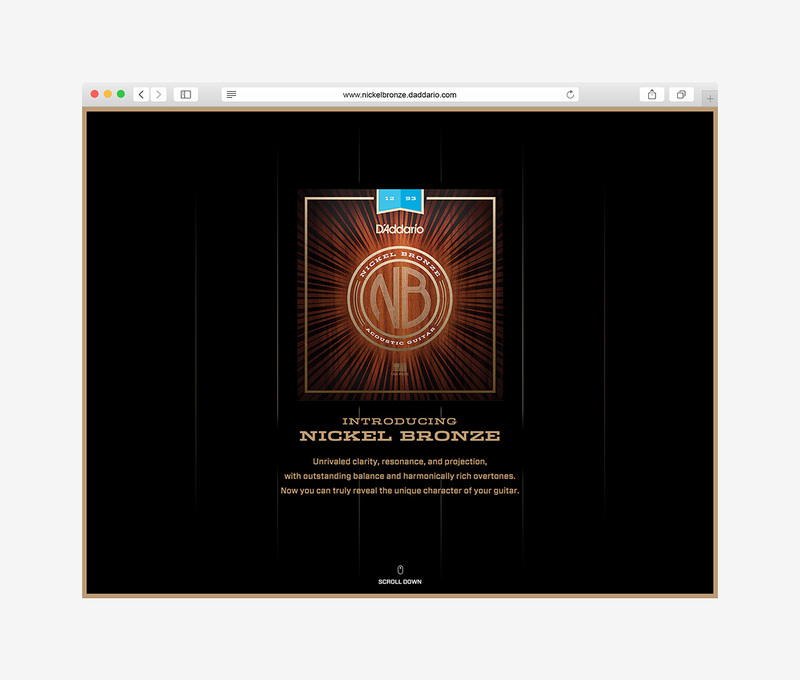 Users across all platforms and devices can now revel in the delicious difference that Nickel Bronze strings make compared to D’Addario’s previous product, Phosphor Bronze. 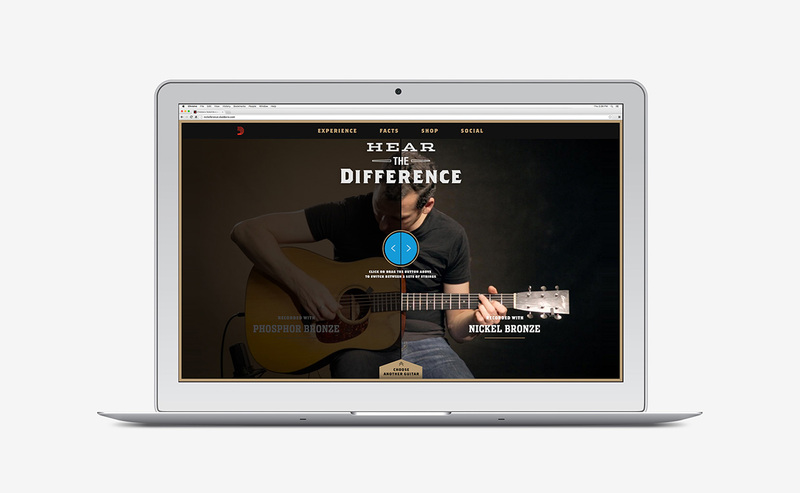 With a simple user-friendly interface, the custom music player adds a higher tier of customer service by giving users a new way to compare D’Addario products online.